The Director-General of the Peoples Democratic Party (PDP’s) Presidential Campaign Organisation and former national chairman of the party, Ahmadu Ali and the PDP have been dragged before an Abuja High Court over alleged N70 million debt from the just concluded presidential election. The plaintiff, Silon Concepts Limited filed the suit No CV/2017/15, on Thursday, at the Maitama Division of the court. Esther Usman who is the Director, Finance and the PDP Presidential Organisation. In the statement of claim, the plaintiff averred that it made an offer to the first defendant, PDP, through the office of the second defendant to do voice SMS campaign broadcast to eligible voters for the 2015 presidential election on February 3, 2015 and March 4, 2015 respectively. The plaintiff further averred that its offer was accepted by the defendants on March 5, 2015, where it agreed to pay the plaintiff N100 million for the project. 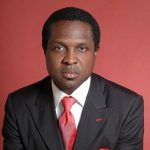 According to the plaintiff, Silon Concepts Limited, its terms of agreement highlighted in the defendants’ letter of engagement, the approved sum of N100 million was to be paid before the kick-off of the project, but only N20 million was released to it for the take-off with the promise to pay the balance before the presidential election. Silon Concepts Limited claimed that it successfully executed the project with continued assurance from the defendants that the balance would be made available in no distant time. 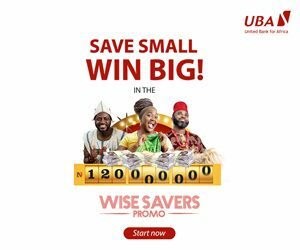 However, the defendants allegedly could not pay the balance notwithstanding the said demand but only issued another cheque of N10 million on March 19, 2015. In the writ of summons filed by the plaintiff’s counsel, Festus Keyamo, the plaintiff is praying “an order of court compelling the defendants to pay the plaintiff N70 million only, being outstanding balance for the contract executed by the plaintiff for the defendants. “An order compelling the defendants to pay the plaintiff the sum of N15 million, being the cost of this suit. 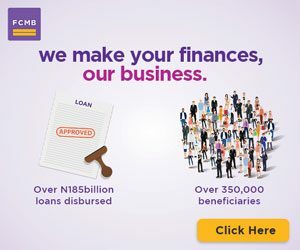 “An order compelling the defendants to pay the plaintiff an annual interest rate of 10 per cent on N70 million until the said sum is fully liquidated,” among other such orders. The plaintiff maintained that the defendants had deliberately refused to pay up the balance of several promises to do so. No date has yet been fixed for the suit.